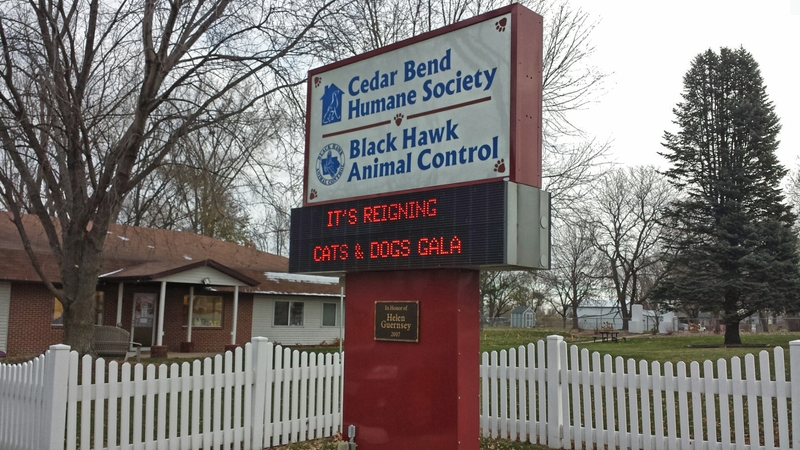 About | This blog is affiliated with the Cedar Bend Humane Society in Waterloo, Iowa to share pet-friendly resources, adoption stories, and CBHS events. P.E.T.S. Place. Educate. Teach. Shelter. CBHS is passionate to: Place animals in life-long, loving homes. Educate on the issues of humane care. Teach responsible pet ownership. Shelter the stray, neglected, and unwanted. We are a 501c3 non-profit organization, accredited by the Better Business Bureau, and the only full-service animal shelter in Black Hawk County. We are located at 1166 W. Airline Highway in Waterloo, Iowa. You can reach us at 319-232-6887. Our Adoption Center is open Tuesday through Sunday from 10 a.m. to 5 p.m. It’s closed Mondays and holidays. Our Intake Building is open seven days a week from 8 a.m. to 5 p.m.